672 pages | 251 B/W Illus. 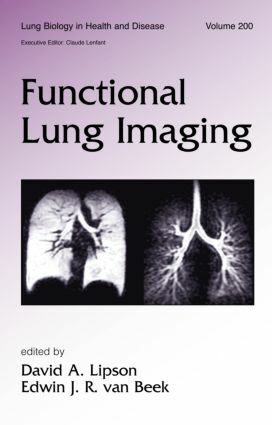 Written by world authorities, this reference explores the utilization and advancement of state-of-the-art imaging modalities for the analysis of pulmonary function-providing an up-to-date and global perspective of imaging applications with detailed contributions from experts in Europe, North America, Japan, and Australia. "…The editors made a gallant effort to cover this field in its entirety, based on the state of the art at the time of the book's compilation." "…The contributors to this volume provide an important window into current developments in this emerging field." -Warren B. Gefter, M.D., Professor of Radiology, University of Pennsylvania, U.S.A., and Eric A. Hoffman, Ph.D., Professor of Radiology and Biomedical Engineering, University of Iowa, U.S.A.